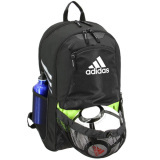 The Adidas Stadium II Backpack is built to last, from practice to school and everywhere in between. 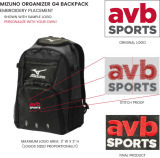 The zippered bottom ball pocket can hold a volleyball or you can put it on the outside of the bag in the mesh pocket. 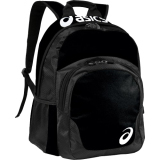 It also features dual water bottle pockets and a zippered lined media pocket. 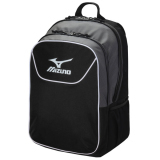 The front zippered pocket is great for storing shoes you don't want to smelling up your bag!